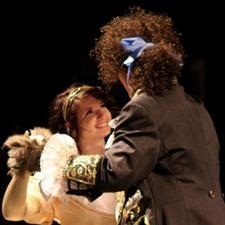 Several of my children are in the midst of performing the play, “Beauty and the Beast.” It’s a great story. A spell has been cast upon a prince who lives in his castle. He has been turned into an ugly beast until he can learn to love another and earn her love in return. A beautiful girl, Belle, happens upon the castle, where she is taken captive. The story revolves around how Belle learns to love the Beast, recognizing that true beauty is on the inside, rather than on the outside. This is a thoroughly Biblical theme. God is far more concerned with our inner man than He is with the outer man. “The LORD sees not as man sees: man looks on the outward appearance, but the LORD looks on the heart” (1 Samuel 16:7). Jesus constantly attacked the hypocrisy of those who sought to look good on the outside, but inwardly were wicked (see Matthew 23).